Everything you need to know for snowshoeing, tubing, sledding, mushing and more. Winter is a magical season in Oregon, when much of the state slumbers beneath glistening powder, and the majestic mountains gleam like icy beacons. Skiers and snowboarders famously flock to the slopes of Mt. Hood as soon as the white stuff starts to fall, but winter fun doesn’t stop at the bottom of the hill. 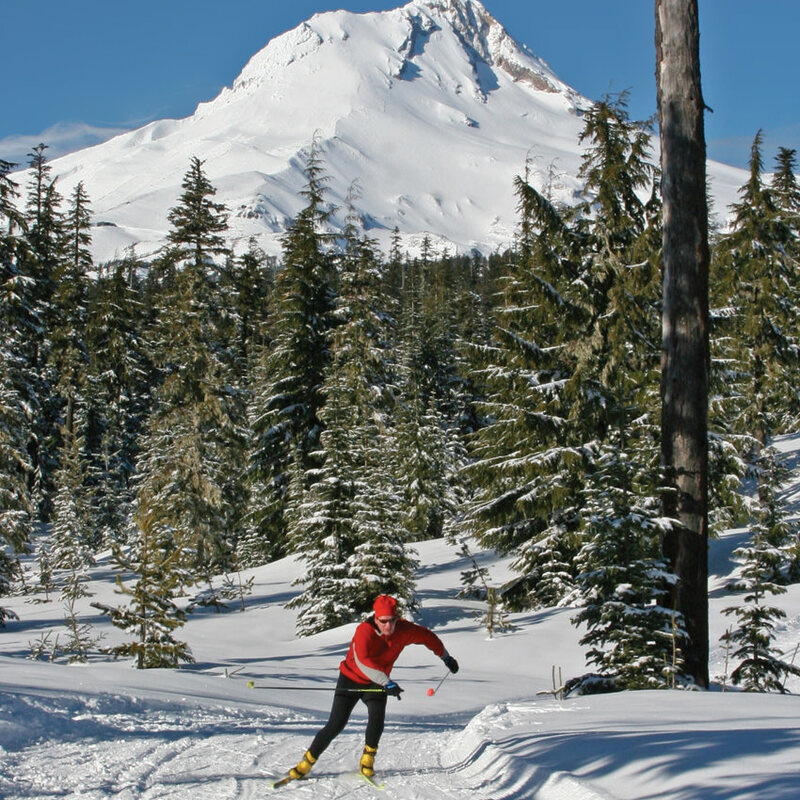 At nearly two dozen “Sno-Parks” (aka designated winter-recreation parking areas) around Oregon’s iconic peak, winter transforms alpine lakes, rivers and passes into new worlds of exploration. These are seasonal recreation paradises for snowshoers, sledders, cross-country skiers, mushers and snowmobiles as temperatures drop. Here’s an insider’s look at everything you need to know about the Sno-Parks in the Mt. Hood National Forest, with expert tips from Mary Ellen Fitzgerald, who has been working with the forest service for 30 years. When to go: Most Sno-Parks around Mt. Hood tend to hit their prime in mid-winter, but snowy conditions can be hard to predict, so keep an eye on the forecast. To get a live look before setting out, check out the weather cameras at TripCheck.com, a resource you should also consult for the latest updates on seasonal road closures and conditions. Get your permit and map: Before you go, purchase a Sno-Park permit and a trail map at a DMV office or at a permit agent — often at outdoors or sporting-goods stores — for usage between November 1 and April 30. Find a full list of retailers here. Daily permits cost $4, three-consecutive-day permits are $9, and an annual pass is $25. Try a lesson first: First-time snowshoers and skiers are encouraged to take lessons, Fitzgerald says, in order to learn winter safety concerns and courtesy rules, especially establishing separate tracks to ensure all visitors have an enjoyable time. Lessons are available at numerous locations, including Mt. Hood Meadows, Teacup Lake, Mt. Hood Outfitters and more. Rent your gear: If you don’t own your own gear, equipment can be rented and/or purchased from Next Adventure or Mountain Shop in Portland. Closer to Mt. 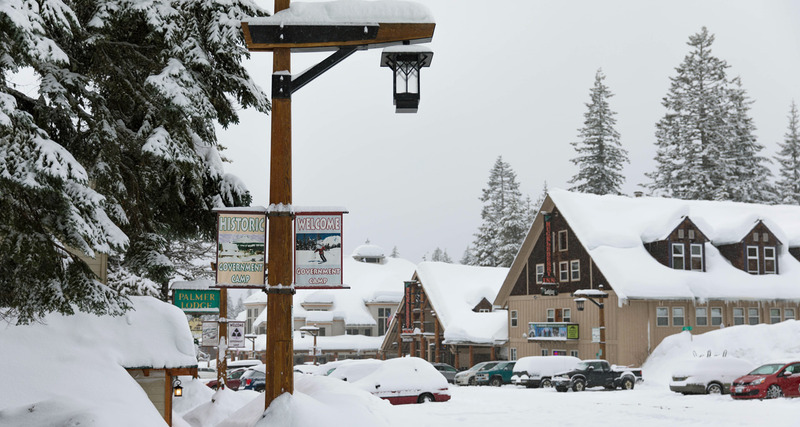 Hood, equipment can be rented or bought from Hillcrest Ski & Sports in Gresham, as well as Otto’s Ski & Mt. Bike and Meadowlark Ski & Snowboard in Sandy. Go early, leave early: If you’re planning on heading out during peak season, Fitzgerald warns parking lots can fill up by 9:30 a.m. and traffic can come to a standstill along Highway 26. Your best bet is to stay overnight in the area. If you’re not staying in the area overnight, plan on leaving by early afternoon or take Highway 35 up through Hood River to avoid the heaviest weekend congestion. Spend the night: Overnight visitors can look for cabin rentals and lodging in towns such as nearby Rhododendron, Government Camp or Hood River. Options less than 20 miles from many of the most popular sno-parks include the glitzy Mt. Hood Oregon Resort and the functional Best Western, with in-room hot tubs, in Government Camp. Search for more places to stay here. 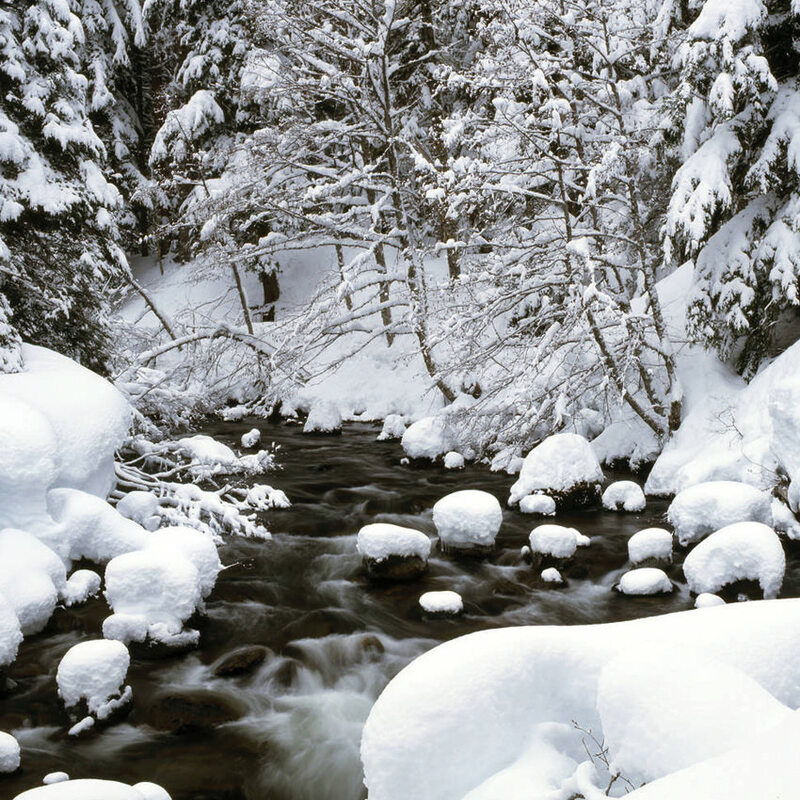 Leave no trace: These well-known leave-no-trace principles apply in winter, too. In recent years, littering has become a big problem at Sno-Parks. Some sledders, for example, just dump their junk sled before they leave. When the snow melts, that leaves a lot of trash to clean up. Do your part and pick up after yourself (and your dog). Bonus points for picking up litter you see along the way. 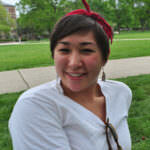 Leave prepared: Most important, Fitzgerald says, is to be prepared for the area you’ll be visiting — before you get there. Whether you’re a seasoned winter enthusiast or it’s your first time on the mountain, make sure to check the conditions and prepare your vehicle. Before hitting the road, review your driving route on TripCheck.com, and let someone know where you’re going. Backcountry visitors, especially, should check the avalanche forecast as well. 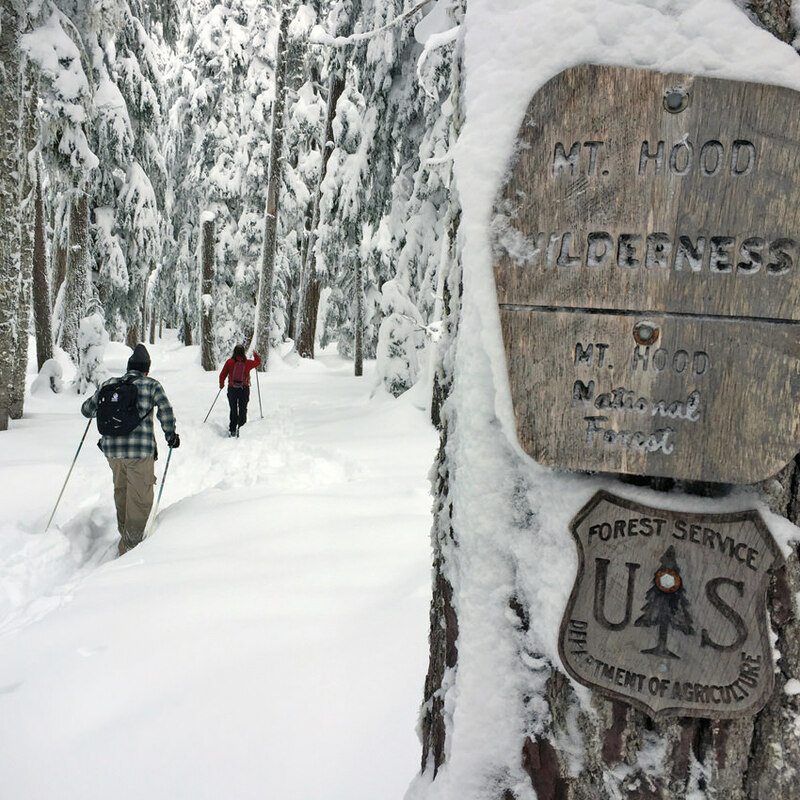 There are nearly two dozen Sno-Parks in the national forest catering to all kinds of winter recreational interests. Here’s a quick roundup of a few can’t-miss and lesser-known spots to get you started. You can follow these links for full lists of Sno-Parks by activity: cross-country skiing/snowshoeing, sledding/tubing, snowmobiling and mushing. Frog Lake Sno-Park has it all. 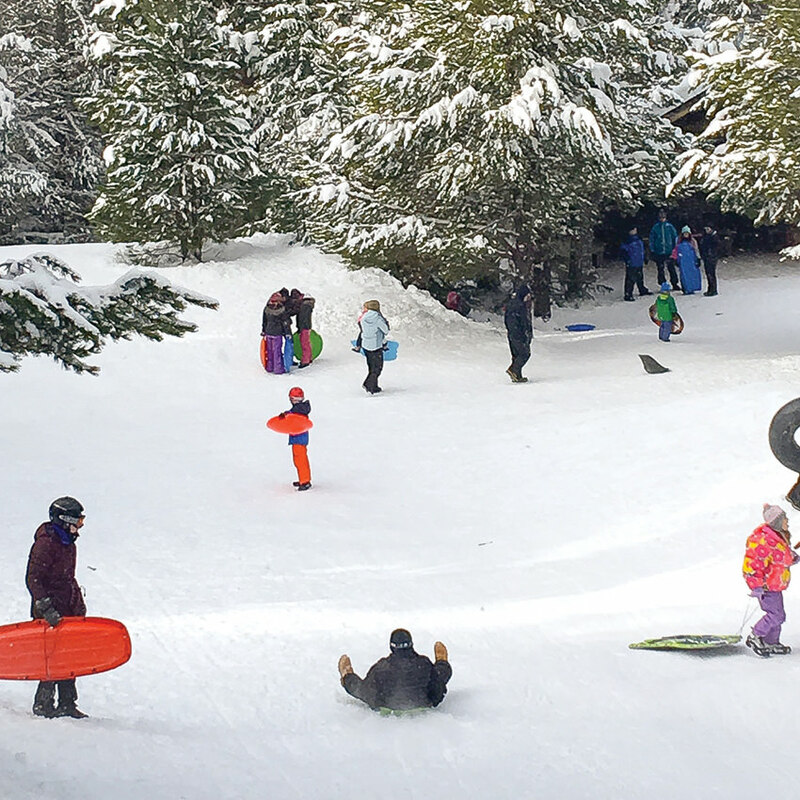 With room for motorized recreation, mushers, cross-country skiers and snowshoers, Frog Lake is a one-size-fits-all spot for winter fun and is less crowded than popular spots like Trillium. A groomed road is available for snowmobiles and winter ATVs, leaving plenty of space along the Pacific Crest Trail for those on foot. A single-track trail along the PCT can also be taken to the scenic Twin Lakes, but skiers’ and snowshoers’ trails are not groomed, which can be more difficult for beginners. Dogs must be kept on leashes in any dogsledding areas. And Fitzgerald impresses upon visitors to clean up after your animals and to not leave any waste hanging in trees. The most popular Sno-Park for cross-country skiing in the Mt. 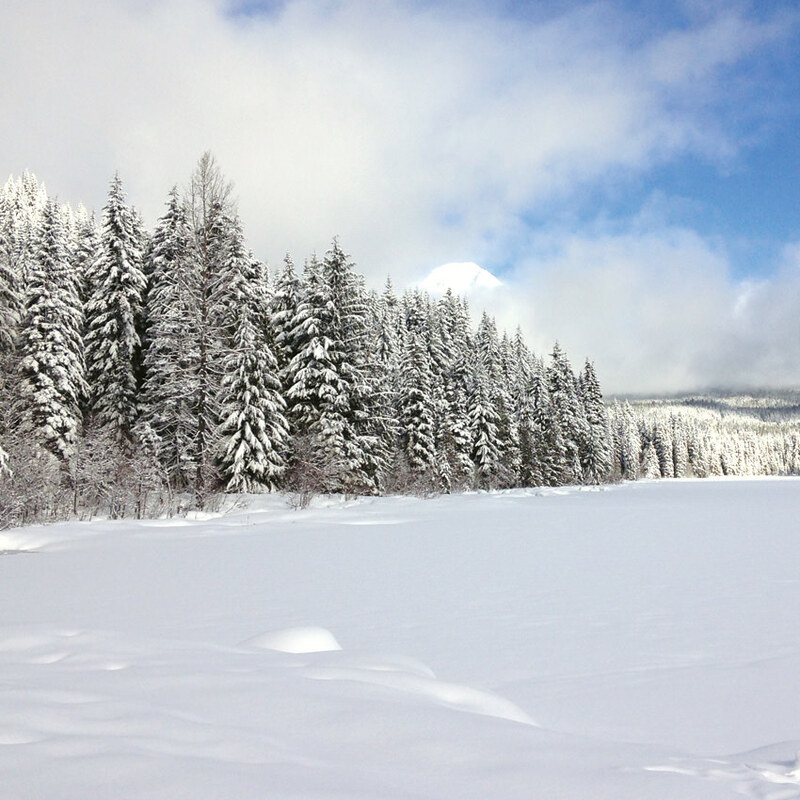 Hood area is this winter wonderland, home to more than a dozen miles of mixed-experience trails maintained by the Teacup Lake Nordic Club. It’s one of the only Sno-Parks in the area reserved only for cross-country skiers, and it is groomed for both skate and classic styles. With a warming hut to ward off numb fingers and toes, as well as great views of the mountain, it’s a quintessential, must-visit Oregon Sno-Park. To help maintain the trails, they charge a $10 fee for skiers over the age of 18. Not far from Teacup Lake is this less-crowded Sno-Park that welcomes cross-country skiers, snowshoers and dogs. Though the views aren’t as magnificent as Teacup Lake, the trail offers some of the most accessible backcountry skiing, and those prepared can ski between Pocket Creek and Teacup to extend the trail. This trailhead is at a lower elevation, often resulting in later-season snow and sometimes rain when it’s snowing elsewhere. Closer to Government Camp is the iconic and very popular Trillium Sno-Park, which allows cross-country skiing, snowmobiling and snowshoeing along a scenic, well-marked, 4.5-mile loop that boasts mountain views at the lake. Overnight skiers should look for potential rentals near the lake, Fitzgerald says, which are accessible by ski or snowshoe and open up a world of moonlit adventure. Note: This is a very popular Sno-Park and does not have a bathroom at the trailhead, although there is an outhouse on the far end of the lake. On the east side of Mt. Hood on Highway 35 is this expansive, developed sledding area, with snowshoe and cross-country access as well. With limited sledding opportunities (commercial sledding is available at Summit Ski Area and Mt. Hood Skibowl), Little John is one of the best options for sledding spots on the mountain as you whiz pass snow-dusted conifers down the long run. The Forest Service, Fitzgerald says, only allows soft toys (preferably inner tubes) or discs due to the potential for serious injury at unmanaged sledding spots. Helmets are recommended. An even quieter area for motorized recreation — as well as mushing, snowshoeing and cross-country skiing — is this secluded Sno-Park. 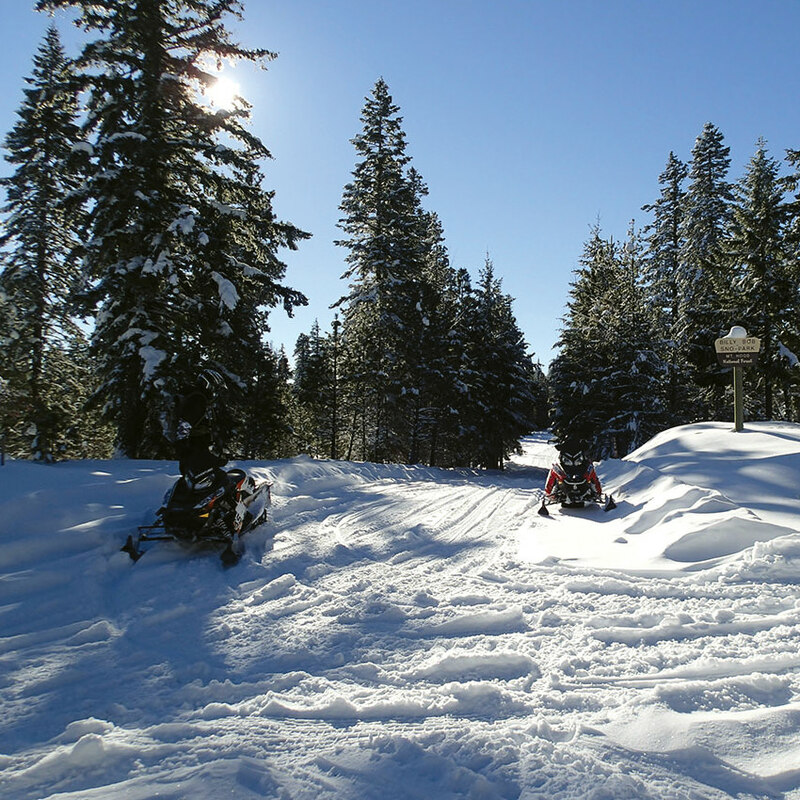 Accessible only through Dufur, Oregon, Billy Bob requires a Northwest Forest Pass (no Sno-Park permit needed) and has trails groomed for snowmobiles by the Columbia Gorge Power Sledders Snowmobile Club. During the winter months, the sought-after Fivemile Butte Lookout, which can be rented for overnight stays, is only accessible by snowmobile, snowshoe or cross-country skis.